as we light the fire for added warmth on these cold days of winter. so I cleared everything off. and this is how things settled. 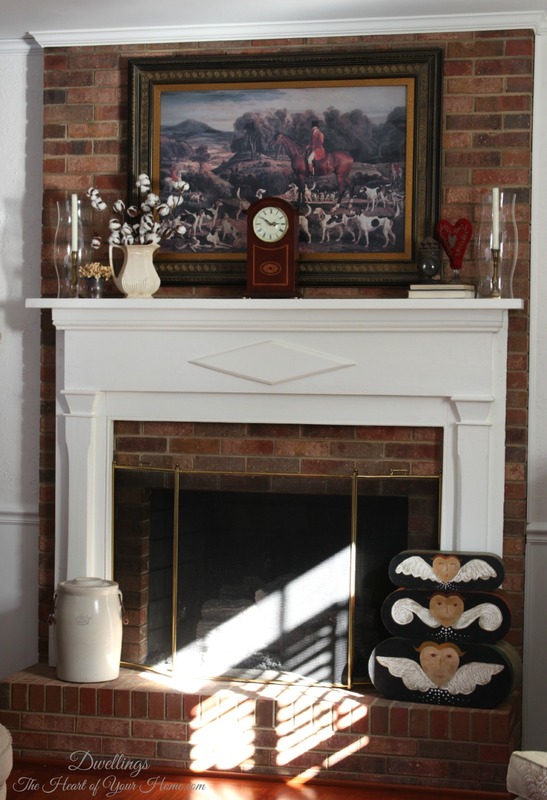 The great room has an equestrian theme so hanging this picture was a great place to start. 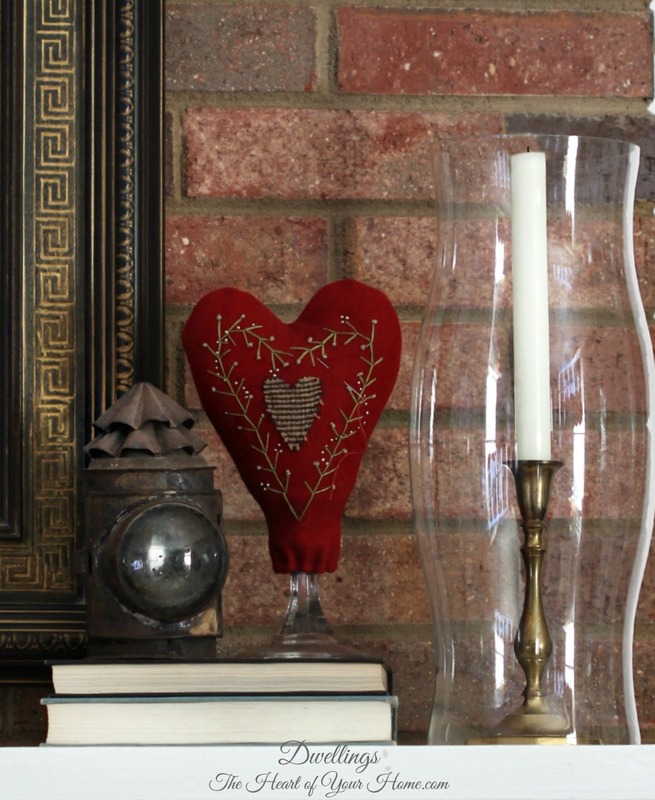 On both sides of the mantel I used brass candlesticks covered with hourglass hurricane sleeves. 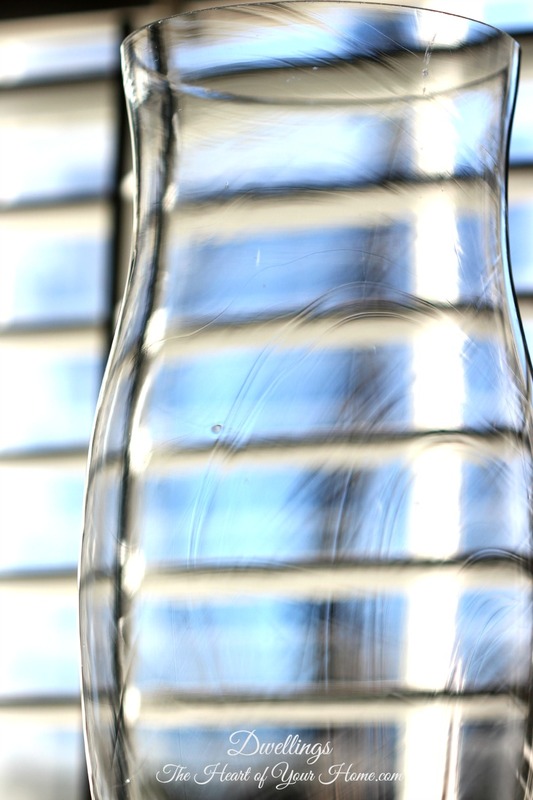 I love the detail in the glass. 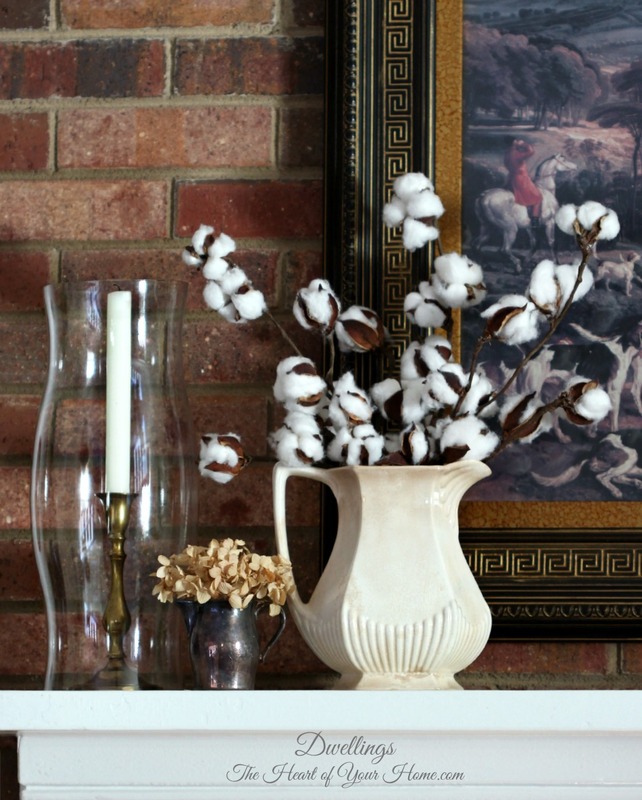 an ironstone pitcher full of cotton for a little Southern touch. 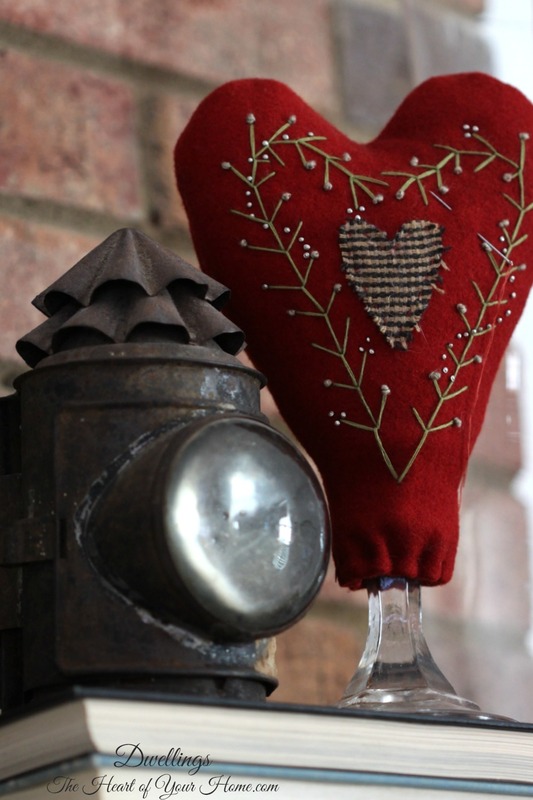 a homespun heart pin cushion and an antique civil war whale oil lantern. The clock is cherry and has an inlaid wood design. I got it years ago at Bombay, remember that store? and a set of three stacking Angel boxes handmade by Folk Artist Rick Conant. The brass and silver were left tarnished. until I added it to the mantel and did a little research. I am totally crushing on the photo showing the right side of that print: the Greek key design of the black frame, the homespun red and the whale lantern - such a handsome combination! You mantel turned out lovely! I love that little pin cushion! Lovely! Shopping at home is such fun! Your mantel turned out lovely! That painting is amazing! 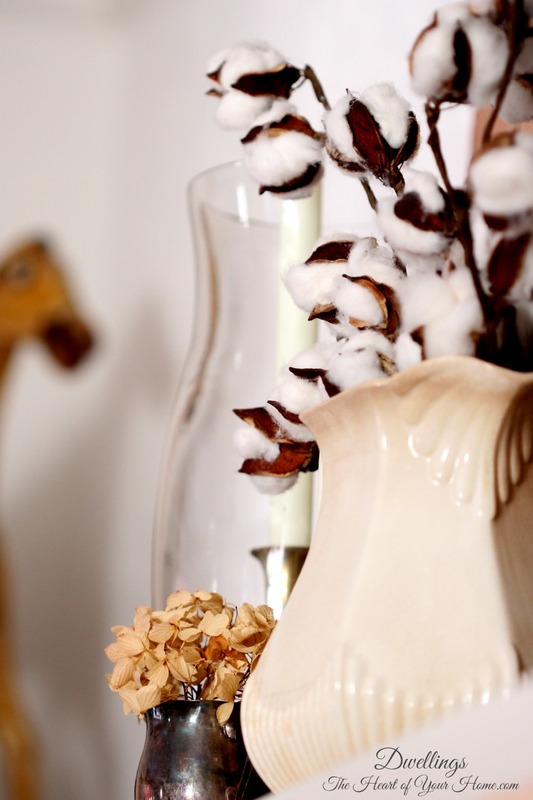 So pretty, love the cotton in the pitcher! What a great room. Love how you decorated the mantel. 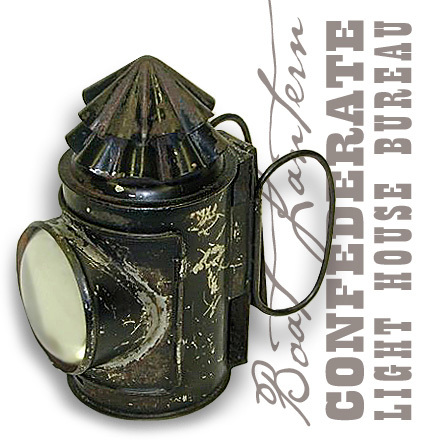 Very interesting lantern. I love antiques. You have a wonderful job on creating a very cozy room. So pretty Cindy! love the vignette! Doesn't everything look so much cozier come dusk? Oh, i really like what you did with your mantel. It really does tie in perfectly with the rest of the room. I love antiques and items with a story. In the evening, I bet reading a book in that room is very relaxing:). Hi Cindy! I love your pretty mantel and how you've decorated it. That is a very interesting lantern. My hubby loves Civil War stuff! Your home is so beautiful. 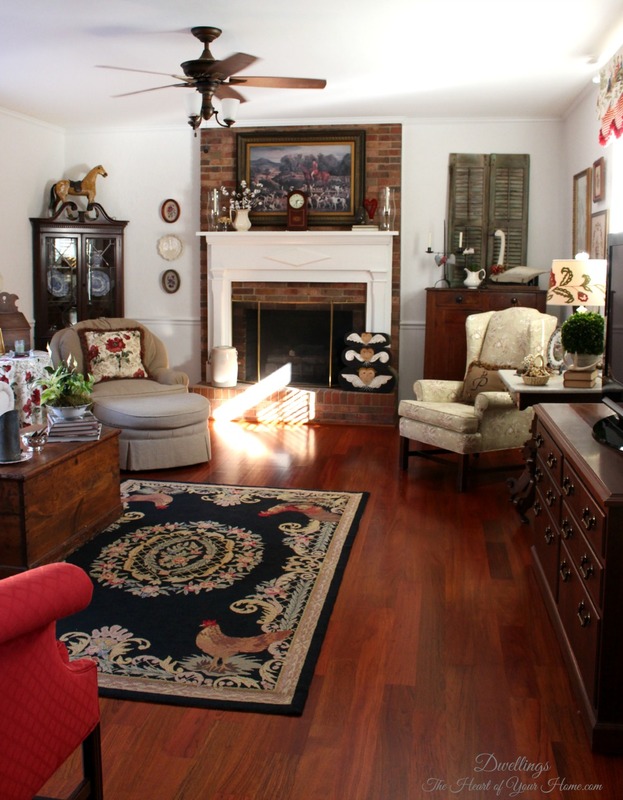 This looks so pretty, Cindy -- your home is just beautiful! I love the hunt scene and the clock. I still miss the Bombay Company, do you? At one time, they had really pretty things. Enjoy your cozy room and stay warm! Love it all Cindy...the beautiful painting those pretty candlesticks the little tarnished pitcher with the dried hydrangea...like I said love it all! 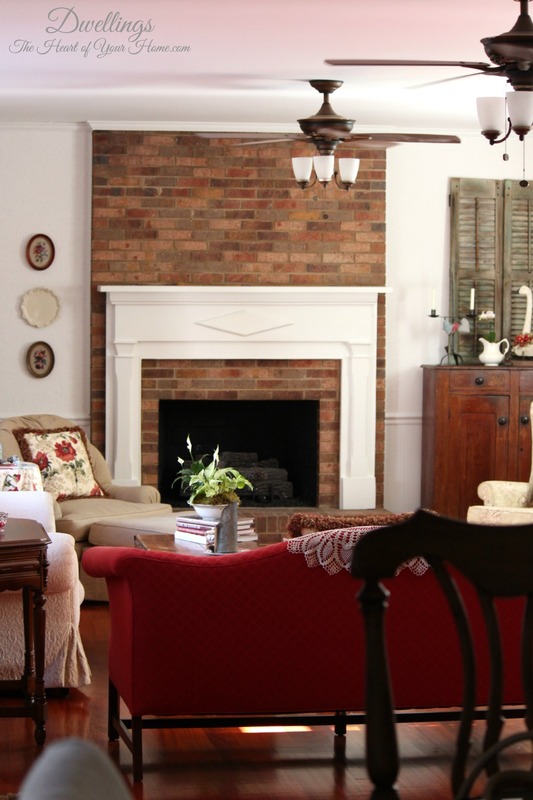 Love the Southern accents on you mantel, especially the pitcher full of cotton stalks, and that fabulous boat lantern. What a neat piece! This is beautiful, Cindy. 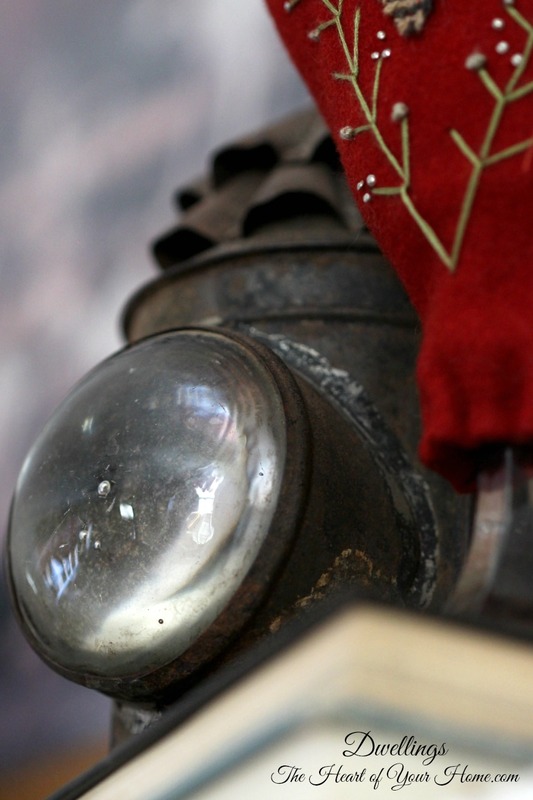 You have a great collection of antiques and time worn pieces that create such a beautiful arrangement. A lot of people overlook the hearth and I think you did a wonderful job with that as well. 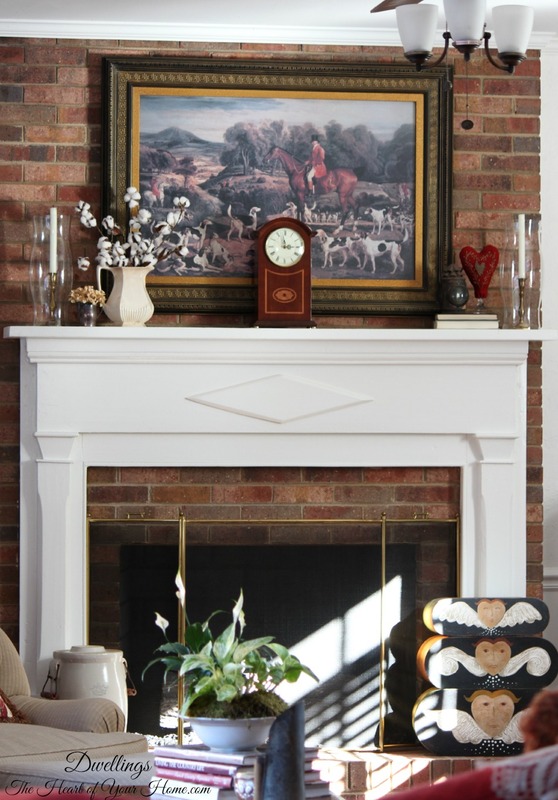 Your color scheme and equestrian feel is so warm and inviting in this room! Love it all! Wish I had just a smidge of your taste! 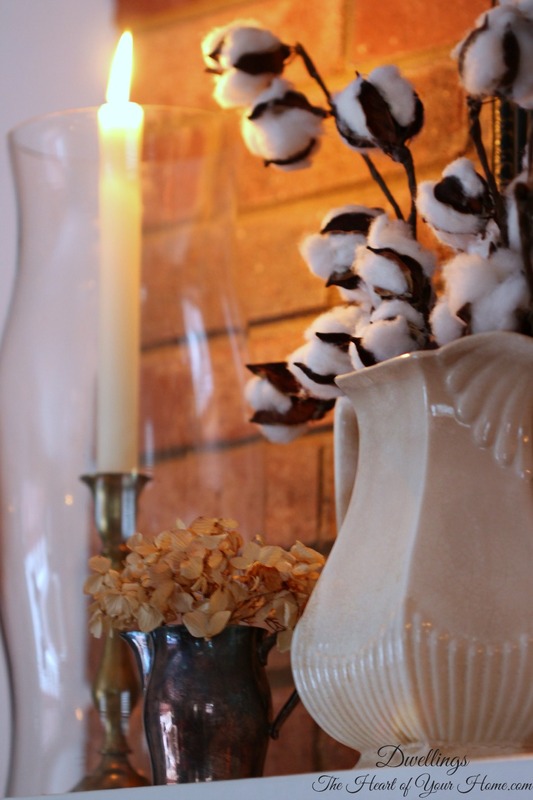 Cotton makes everything so warm and dreamy! It always reminds me of my Sweet Home Alabama! Gorgeous mantle decor, dear friend!!! I adore the hurricane sleeves atop the brass candlesticks!!! We have cotton fields near our home here on the Prairies, too. Like you, I always feel they are a Southern crop! 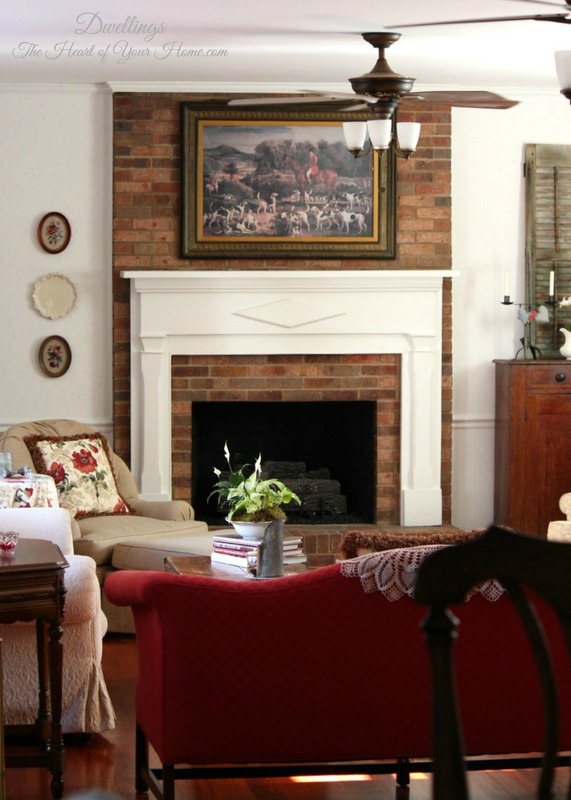 Keep the home fires burning. . .especially during this Winter weather!! !